Have you noticed the weather changing where you live? It's been getting colder and colder by the day. When I wake up, I immediately light a few candles and pour myself some hot tea. Since I'm a bit of a horror junkie, these candles by Laughing Crow Candle Co. on Etsy really called out to me. I imagine these candles smell delightfully sinister! 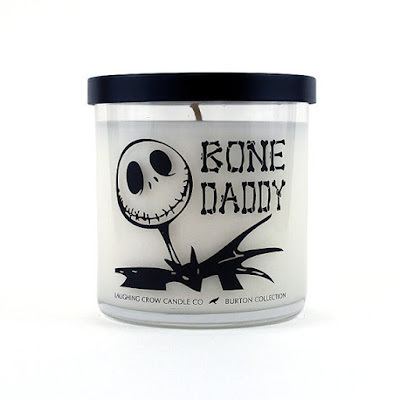 I am dying to know what Bone Daddy Jack Skellington candle smells like. I definitely can see myself having this candle lit all year around! You know what's better than Jack? Sally. 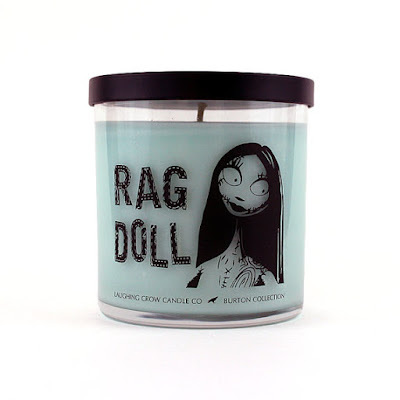 This Rag Doll Nightmare Before Christmas candle is such a sinister color. It reminds me of that grotesque soup that she makes for Dr. Finkelstein. Hopefully it doesn't smell like Frog's Breath! 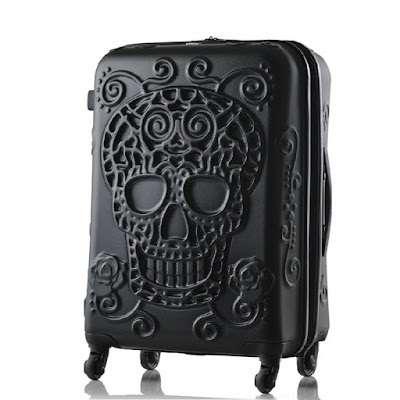 I can't help but wonder what kind of fragrance would be reminiscent of Silence of the Lambs. This Precious candle better not smell like a dog or Buffalo Bill! Apparently it smells like fantastic premium lotion you'll never want to put back in the basket! Jaws has literally scarred me for life. Even if I'm not in the ocean, my overactive imagination thinks there might be an evil shark in a lake... or river... 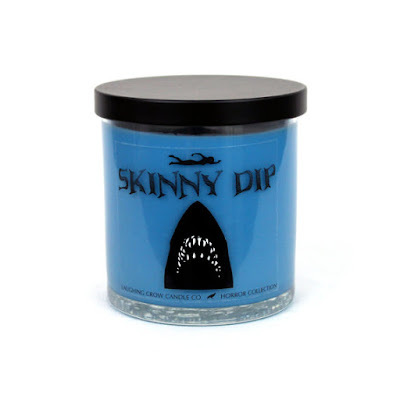 This Skinny Dip candle would actually be great for summertime. 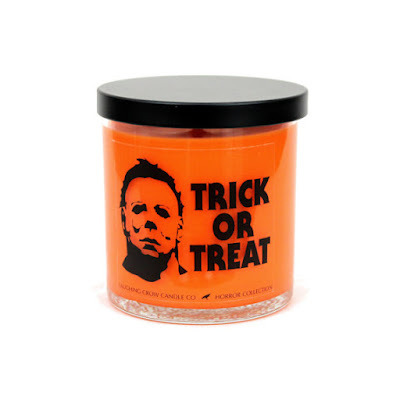 I'm hoping that this Trick or Treat candle has an ominous... smell. Is that even possible? Oddly, this candle smells like pumpkin spice, which might be a sign to stay away from the PSL trend! 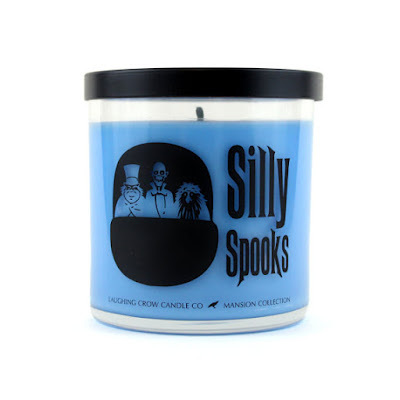 If you're a Disney geek, you will appreciate this Silly Spooks candle. These hitch hiking ghosts should be familiar to those who really love the Haunted Mansion ride! This is my favorite part of the Haunted Mansion ride! 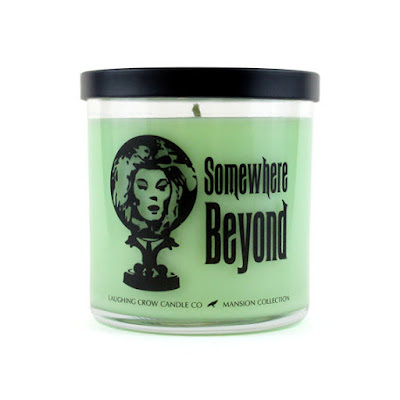 This Somewhere Beyond candle is mystical and spooky at the same time. I always get excited when I see Madame Leota chanting her spells. Were you scared of the movie Trick 'r Treat? 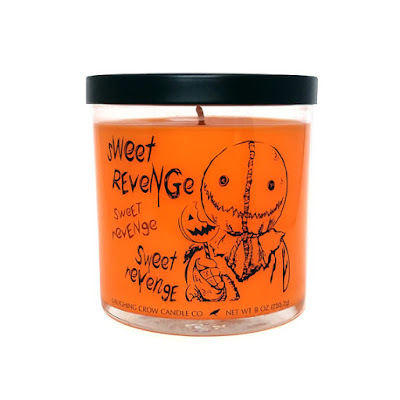 This Sweet Revenge candle is inspired by that movie! I, personally, didn't find it frightening. The burlap sack masked villain is a totally horrifying concept. Killer Klowns are serious business! Well, that's what they may want you to think... 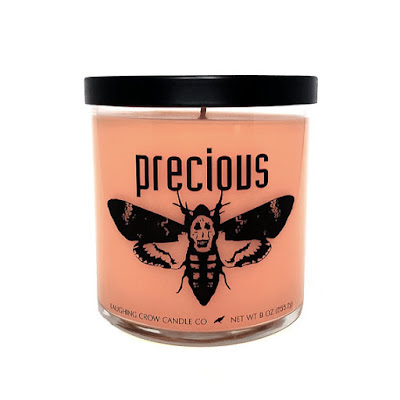 This Killer Kandy candle is sweet and would remind you of the circus. This would remind you of those nice cotton candy shaped cocoons you shouldn't mess with! 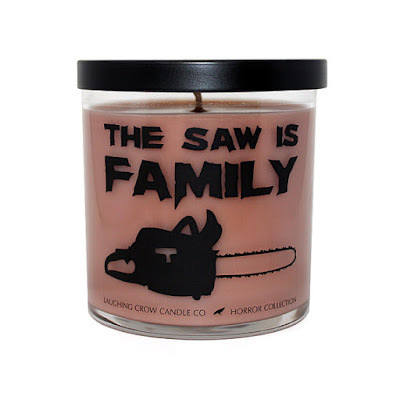 Is it just me or is this The Saw is Family candle really fleshy looking? It's incredibly disturbing to me! The scent is supposed to be leather, which is an even worse thought. This candle is definitely the most gruesome of them all. 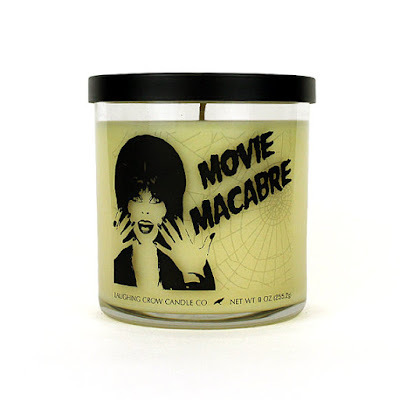 This Movie Macabre candle smells like delicious buttery popcorn! That will definitely take me back to the days where I watched Elvira in the middle of the night. 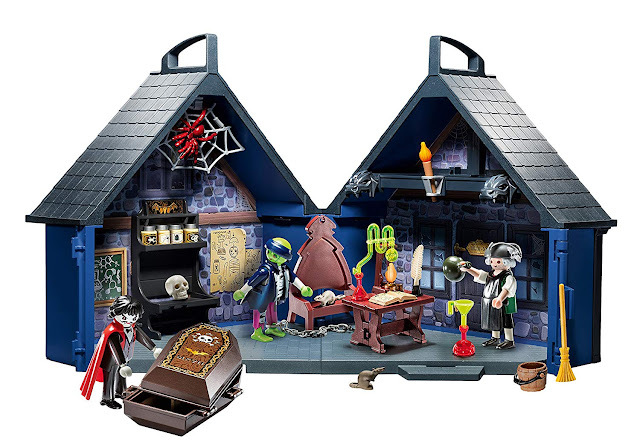 Who doesn't like the Mistress of the Dark? These are fun and very true to each film they represent. You should see other Halloween themed candles by Laughing Crow Candle Co. on Etsy. Make sure to comment below and tell me which ones you are the most curious about! These are lots of fun - I need a yummy pumpkin smelling candle for my party.